Hey everyone! I'm a little bit late with uploading these favourites but I just haven't had a chance to sit down and write the post. I'm going to try and post as much as I can in the next few days because I'm really falling behind with posts. I was expecting to have loads of free time once exams were over but I still seem to be busy non-stop with all the stuff I put off until after exams! I've had quite an exciting week, I'm was in London yesterday to do some filming with Snog Frozen Yogurt, which you'll hear more about soon. Then I'm going on holiday this weekend! I really can't wait. I also got featured in my local newspaper last week. If you're interesting in reading the piece you can see it here. 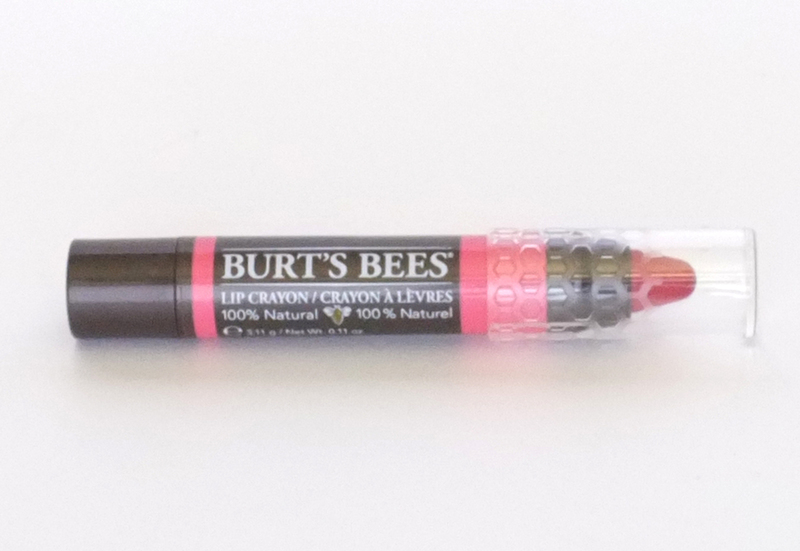 First up is the Burts Bees Lip Crayon, in the shade 'Niagra Overlook'*. This is a gorgeous dusky dark pink shade and it glides on the lips so easily. It's definitely become a staple in my make up bag. Next is the Seventeen - Define and Contour Kit*. I must admit I wasn't expecting much from this kit due to its small price but it pleasantly surprised me and I use it daily. 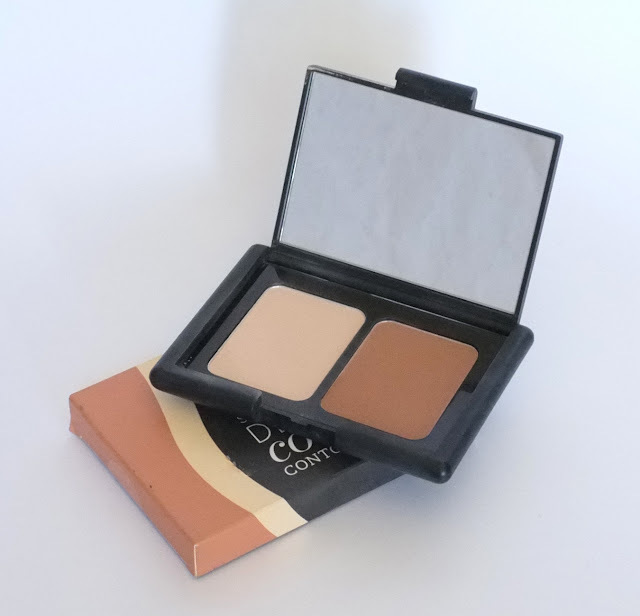 It's definitely worth spending a few pennies on if you're looking for a budget contour kit. Gelish - Escar-go to France* is a pastel glitter topper. It's such a unique shade (which I'm sure you'll be seeing more of soon) and I love it. You might have noticed me feature quite a lot of the Gelish 'Trends' in my favourites, I just love how fun they are, and this is no exception. 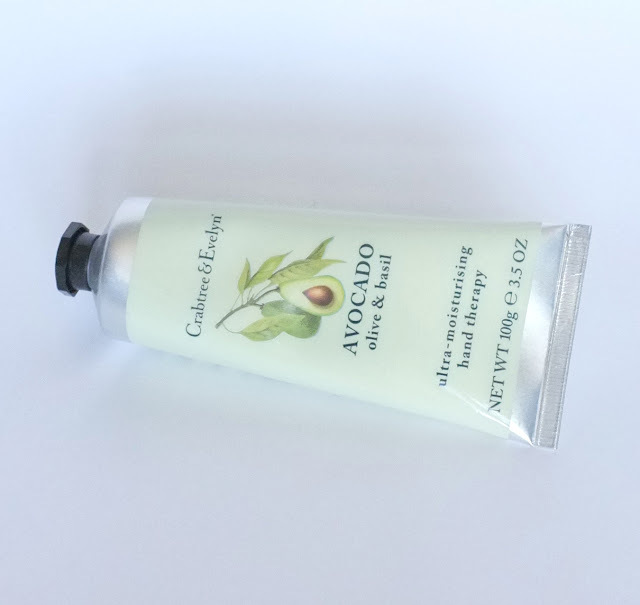 Crabtree and Evelyn - Avocado Hand Cream*. I'm not usually a wearer of scented hand creams but this has such a refreshing smell that I just can't resist using it. I love how this makes my hands smell and feel and it's a welcome addition to my (admittedly quite large) hand cream collection. And finally is OPI - On Pinks and Needles*. This is such a unique glitter topper that I couldn't help but feature it. I know that it's had some mixed reviews but I honestly think it's one of my favourite glitters. It looks good over almost any colour (see below), and it also repeatedly got mistaken for splatter nails whilst I was wearing them. 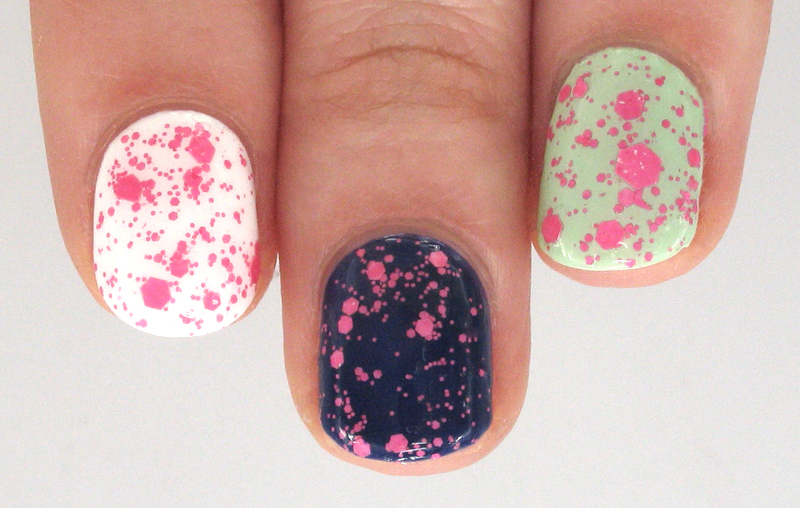 This means it's an easy way to create the illusion of nail art if you're feeling lazy! What do you think of these products? Do you own any of them? that opi colour is really pretty! I own a lip crayon, but not in the same brand. They really are great though! Not as thick as lipstick, but still a solid color! Lovely bunch of favourites, the Burt's Bees lip balms are incredible!